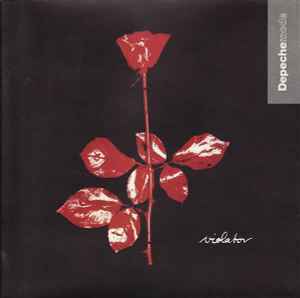 Depeche Mode's 7th studio album. Can’t agree with the below comments more... amazing pressing, audiophile grade, flat and with no surface noise. Wide soundstage, well balanced low end with attack and speed. Vocals fill the room and the synths are so digital that contrast the rest analogue sound with ease. Well done Sony once again. One of the best pressings in my collection. Absolutely flawless, sounds phenomenal. Personal Jesus the first single from that album was a shock and a new sound unexpected. I agree with the previous reviews. Flawless, total clean pressing and yes Personal Jesus is the Full Version. Contains the full version of Personal Jesus unlike the original US and UK vinyls. Anyone else have the Matrix/runout from this issue but missing the legacy logo on the label? So many remastered versions... Anyone has an idea which sounds the best? Thanks! Great quality, sounds similar to first UK releases. Strangely, my copy has the same matrix as this 2017 release, but it also has "Legacy" trademark on the label, similarly as the 2016 release ( https://www.discogs.com/Depeche-Mode-Violator/release/9180652 ), which this release does not have. However, the back cover is exactly as in this 2017 release, i.e. there is no "Legacy" trademark.